Q. 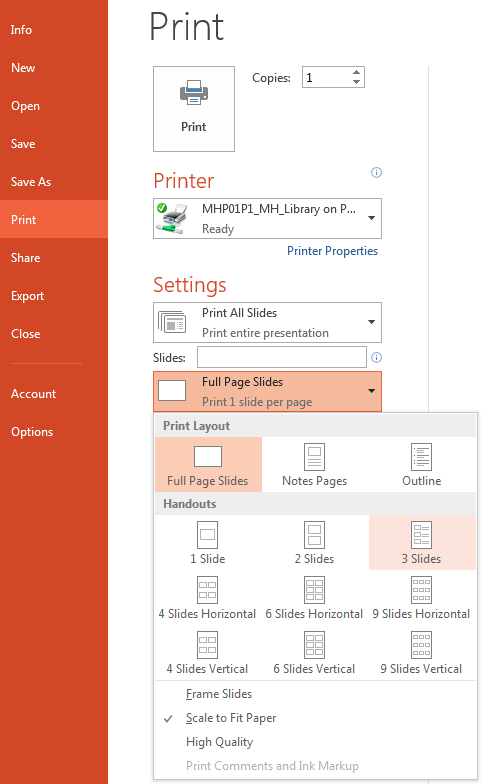 How do I print multiple slides onto one page from PowerPoint? 3 Pages is suggested if you are taking notes. 4 if you are not. No other number is suggested because the slides are either too small to read or two big, thus wasting paper.